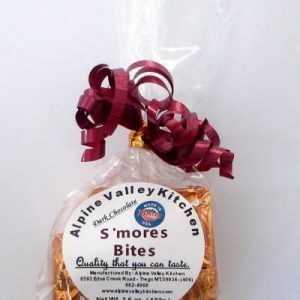 Most people remember when they went camping, you would enjoy s’mores over the camp fire. This treat has a fudge marshmallow center with graham cracker bottom. Enrobed with your preference of chocolate. Each piece is foil wrapped. Packaged in an attractive bag.